Moisturizing shampoo with rich formula specifically created to deeply moisturize dry dehydrated hair leaving it soft, silky and full of body. 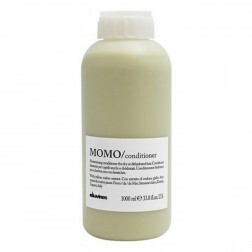 Davines MOMO Moisturizing Shampoo gives deep hydration and protection for dry and depleted hair. Result: Momo Moisturizing shampoo restores moisture and strength without weighing hair down. 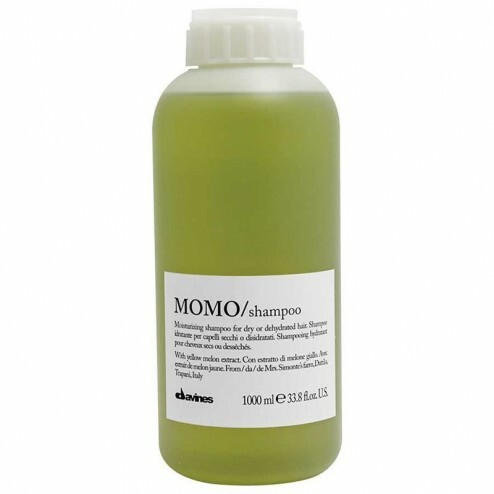 Ideal for curly hair, or hair that tends to dry out. 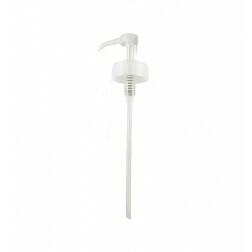 Click here to purchase Davines Liter Pump. Olive Ampho Acetate ( a natural tensioactive derived from olive oil, has an efficient but non-aggressive cleansing action, leaving hair soft and moisturized). Use: Massage gently into wet hair, rinse, repeat if necessary. Aqua/Water/Eau (Water), Sodium Laureth Sulfate, Cocamidopropyl Betaine, Sodium Chloride, Sodium Olivamphoacetate, Glyceryl Oleate, Coco Glucoside, Sodium Lauryl Glucose Carboxylate, Lauryl Glucoside, Amodimethicone, Hydrolyzed Sweet Almond Protein, C11 15 Pareth 7, Dicaprylyl Ether, Lauryl Alcohol, Eruca Sativa Leaf Extract, Propylene Glycol, Dimethicone, Polyquaternium 7, Trideceth 12, Glycerin, PEG 120 Methyl Glucose Dioleate, Laureth 9, Benzophenone 4, Sodium Benzoate, Phenoxyethanol, Methylparaben, Ethylparaben, Propylparaben, Butylparaben, Isobutylparaben, Disodium EDTA, Citric Acid, Potassium Sorbate, Red 4 (CI 14700), Yellow 5 (CI 19140), Blue 1 Lake (CI 42090) (CI 42090), Perfume (Fragrance).